Want Acupuncture training in India? Dr Pardeshi Acupuncture School provides qualified faculties and rich practical experience in nature's surrounding. Dr Pardeshi Acupuncture School is acupuncture school of learning acupuncture therapy in most efficient and practical way. Our primary aim is impart acupuncture knowledge to its students during acupuncture training so that students become independent therapists. Our foremost goal of acupuncture classes is let student learn acupuncture in theoretical as well as practical aspect of acupuncture education. Similarly goal of our acupuncture college is, to cultivate leadership and service to the community in this emerging field of effective medical care. It is fostered in the curriculum and the educational life of the college community through our free clinics where learning is as best as can be in anywhere acupunctures training courses. In efforts to accomplish this aim of promoting the highest quality of acupuncture courses like acupressure courses and promoting the greatest standards and realization of professional performance, we are seeking ways to enhance and maintain the best practices to be best acupuncture school. Our philosophy of training dictates the program and makes which is not commonly seen. Our main maintains that practical learning is best way of imbibing acupuncture knowledge in acupuncturist school. Through our onsite practical training in Dr Pardeshi Acupuncture clinics, students learn how to actually interact with patients empathetically when on the way to acupuncture degree or school acupuncture certification. 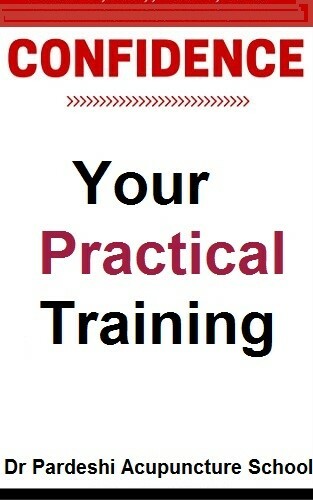 It is soon be practical learning centre for learning for accredited acupuncture schools. Number of student in each batch is limited so as to provide personal attention to each student. 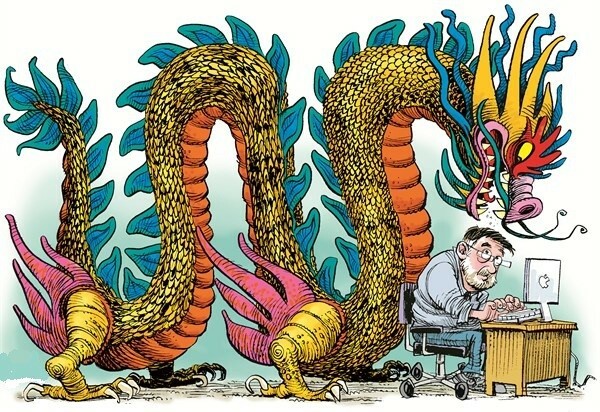 The syllabus is designed to couple knowledge with experience, reinforcing information learned in the institute so that acu courses become a working body of knowledge that is used and applied as in any Chinese medicine school. Students are trained to think independently while managing patients and their ailments to proceed for their acupuncture courses degree. Students even when seek “acupuncture school near me” join our tcm school for that reason. 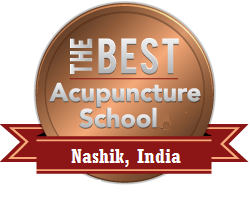 Dr Pardeshi Acupuncture School learning centre is located in heart of Nashik city for acupuncture classes of Maharashtra, India. The campus is one the of potential accredited acupuncture schools once its process starts. For acupuncture practical training the school clinic is nestled on main road between Nashik and Trimbak near Trimbak (Nashik). The acupuncture school is beautifully placed in valley surrounded by mountains and connected to city. Both centres are conveniently placed near hostel facility for students to choose. Many of those who want to learn acupuncture find this acupuncturist school as most enjoyable experience of Acupuncture College. Dr Pardeshi Acupuncture school as one of the oriental medicine schools, supports practical experience to acupuncture degree and acupuncture certification holders. Since acupuncture degree requirements necessary needs practical training, it is one of the best acupuncture schools for the purpose. Any acupuncture school online accredited or acupuncture courses of distance learning need practical exposure, this provides solution. Dr Pardeshi conducts Acupuncture online courses free of charge for tribal students of area around who want to learn acupuncture. Dr Pardeshi Acupuncture training school has very experienced staff headed by Dr Chandrashekhar Pardeshi MBBS, DGO, MD, who has 40 years of clinical experience as consultant and acupuncturist. He has acupuncture training from Republic of China and wide experience in treating and conducting acupuncture courses and acupressure courses. Doctors applying for acupuncture courses have different syllabus considering their having medical background. Applicant must have passed 10th standard. Note : Acupuncture school cost depends upon background, level of knowledge and course applied. Acupuncture has proved itself as very effective therapy all over the world. It’s role in pain management is firmed established and is unquestioned. At least 20% of patients visiting doctors complain of pain. More than 80% of these patients are treatable more effective by acupuncture than mainstream medical systems. This is without any medicines and side effects. This benefit, if translated into saving of suffering and financial expenditure, is huge potential asset untapped in India. Though very effective, it is still in infantile stage India. Main stream medical fraternity sees it as occult science to be kept away from. There is sort of stigma attached to therapy for therapy of pricking needles. Acupuncture has to undergo labour pains before it delivers it bonny baby of excellent therapy. Before it proves itself, it has to be in sync with modern world in its own paradigm. Acupuncture has to think, speak and communicate in terms of present diagnosis, treatment and follow up assessments. It has shed its complex abstract imagined rationality. The process is very painful for old practitioners who swear by it. It must be understood that for any newcomer to acupuncture therapy gets confused by believed rationality of acupuncture and saves himself. We need to make acupuncture which can be understood clearly by anyone with scientific rational mind, who wants to learn it. It because of this, we have proposed knowledge basic human body working in terms of physiology and anatomy of high school level. We also have added very effective methodology of Tung acupuncture and Tan acupuncture which does not tax practitioners with TCM philosophy. With all preceding comments on traditional Chinese system, knowledge of meridian and acupuncture points equally essential to understand and express therapy. List of diseases treatable has been prepared after extensive survey of their senior acupuncturists of decades. Students are supposed to give more attention to formers diseases as they will be encountered more frequently. This list though not exhaustive, show actual common use of acupuncture in India. Acupuncture is not fully understood science so far. There can be many more applications but that is for experienced acupuncturists to explore not new newcomers. It expected that upcoming acupuncturists must know what not to treat and how not to treat. Syllabus is heavily depending on training students hand on practices on patients under strict supervision of teachers. 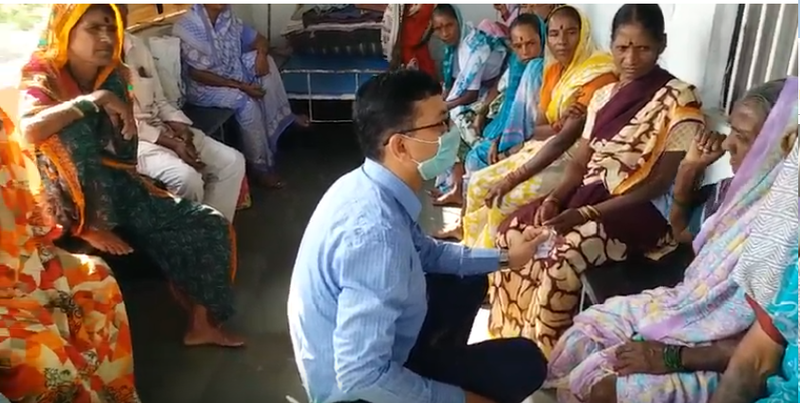 Biggest and most debilitating factor in acupuncture training in India and many other countries has been students have been injected with confusing abstract dose of philosophy of acupuncture and almost nothing on practical science of treatment. We have made it compulsory for our teaching institutes to give hand on training to students of at least 75% of enlisted diseases give here. Purpose of the guidelines is to accommodate presently working non medical and medical acupuncturists around the world and establish indicative scaffold for all future acupuncturists. Purpose is also attracting acupuncturists to look at therapy in modern paradigm and make it simpler and practical for them to practice. Syllabus is more weighed towards practical training of students. Aim of the syllabus is training to facilitate trained acupuncturists practice independently efficiently with safety of patents kept in mind. They are prepared to so that employed in hospitals to aid treatments. 2 : Knowledge of human anatomy, surface anatomy, physiology and pathology of diseases treated by acupuncture is core necessity of syllabus. 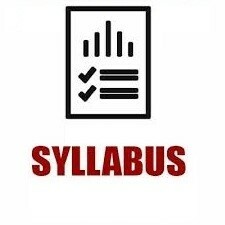 3 : Weightage of different part of syllabus is given in credit point form to be followed. Examination will follow credit point weight of syllabus and evaluate candidates specifically on practical knowledge. 4 : Different levels of courses will be conducted by acupuncture institutions as per syllabus. 5 : Syllabus is credit based with time frame whenever necessary maximum total credit earned to be earned is 1000 earned depending upon course and test. It needs to be earned from each section A to G of syllabus. Minimum 10% of total needed credit must be earned from each section of A to G.
What does the body do to maintain life? What terms are essential to understanding the anatomy of the human body? How are chemical reactions controlled in the human body? What are the basic molecules that make up the human body? How do they work? How are structure and function related for each of the types of body tissues? What is the purpose of the integumentary system? What are various diseases associated with the integumentary system? What are functions of the skeletal system? How are bones formed and maintained? What diseases are associated with this system? What role does the cell membrane play in cell communication? What is the purpose of the integumentary system? What are various diseases associated with the integumentary system? B 3	Meridians and collaterals, their distribution and functions. B 7	Theory of traditional Chinese medicine. B 8	Functions of qi, blood, mind, essence and body fluids, as well as their relationship to one another. B 9 Physiological and pathological manifestations of zang-fu (visceral organs) and their relationship to one another. B 10 Disease occurrence and etiology, causes and mechanisms of illness. B 11 Classifications of points, direction and depth of insertion of needles, actions and indications of the commonly used points. B 12 Diagnosis Methods of diagnosis, history taking, inspection and tongue diagnosis, palpation and pulse taking, auscultation and olfaction. B 13 Differentiation of syndromes according to the eight principles, the theory of visceral manifestations (zang-fu), the theory of qi and blood, and the theory of meridians and collateral vessels. Practical application of theory and diagnosis to treatment in each Individual case. Planning of the acupuncture treatment to be given. Appropriate selection of points and methods of needle manipulation. Appropriateness of acupuncture treatment for the patient. Limitations of acupuncture, and need for referral to other health professionals or specialists. Acupuncture has wide range of effect on diseases and health; however it must be used with following facts in mind. 1. It has major domain over treatment of PAIN, but basic knowledge of that particular disease in terms of anatomy, physiology and pathology casing pain MUST be understood before treatment. 2. If BETTER and alternative treatment of disease being treated is available, acupuncture should not be used. 3. If no other effective treatment is available for the disease, acupuncture can be tried with full explanation to patients about CONSEQUENCES. 4. NO false claim of treating any disease or assurance of results is made to patients. 5. Acupuncture is just ONE PART of full treatment; therefore other modalities must be explained to patient.